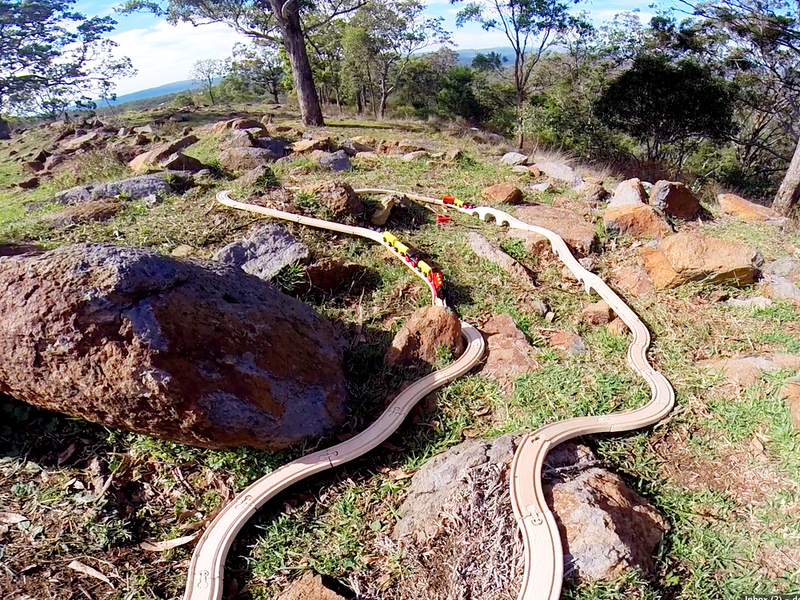 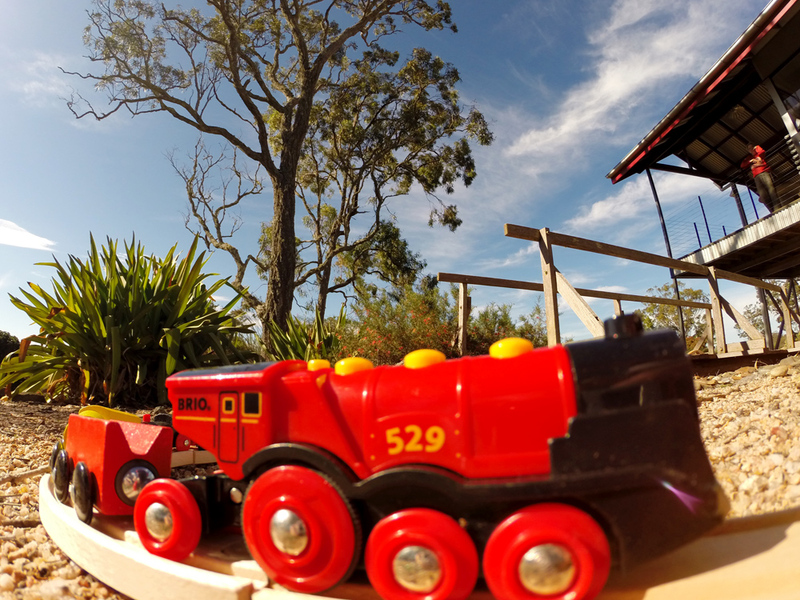 Our last outback train set was set around a rocky mound and our wooden toy train set was right at home. 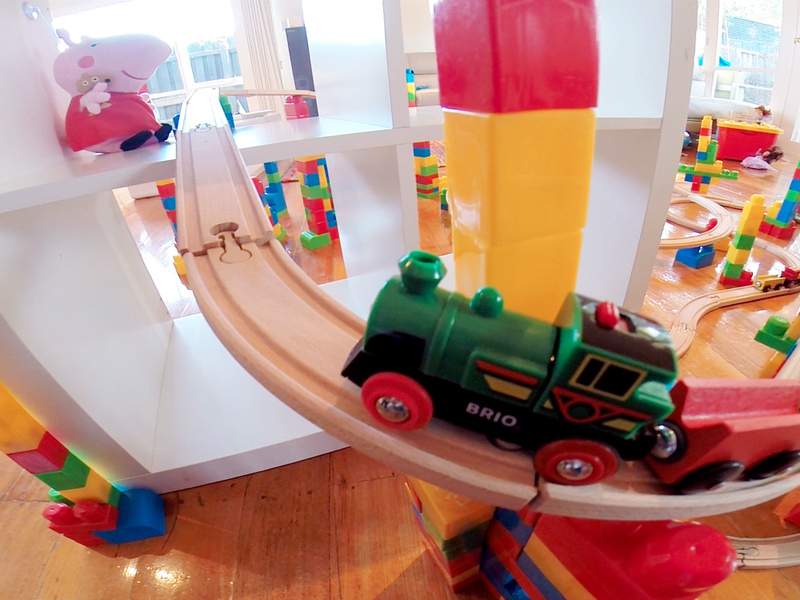 Hayden and Keira had fun setting up and then seeing the little engines zipping around the track. 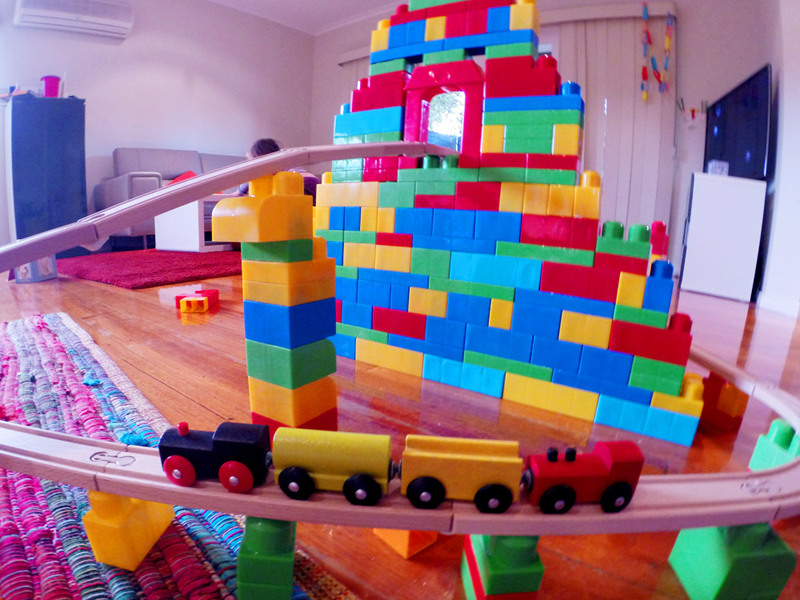 Indeed Hayden declared he was the security guard and that if there were any issues he would deal with them. 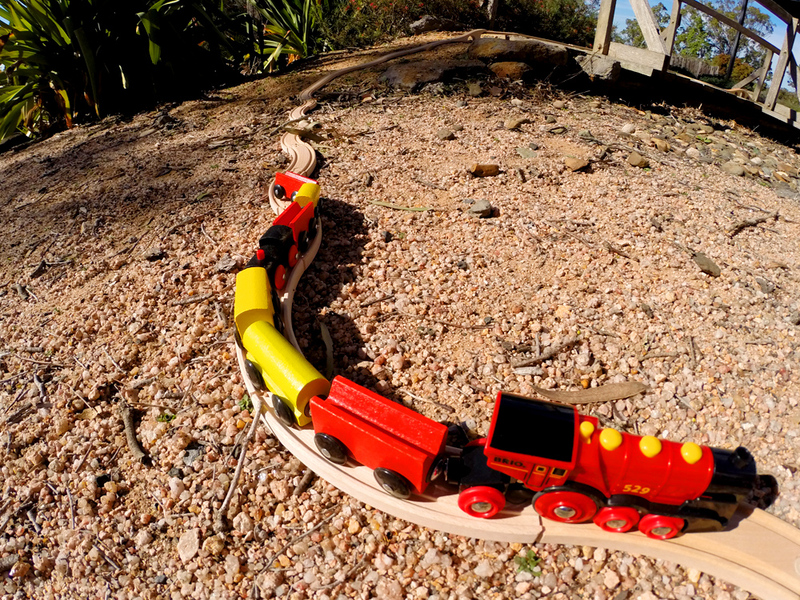 Sounded good to us! 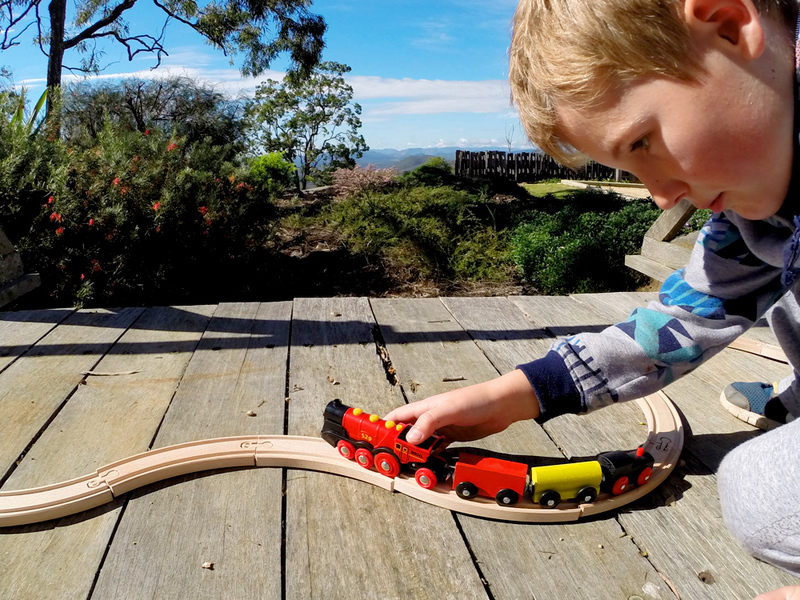 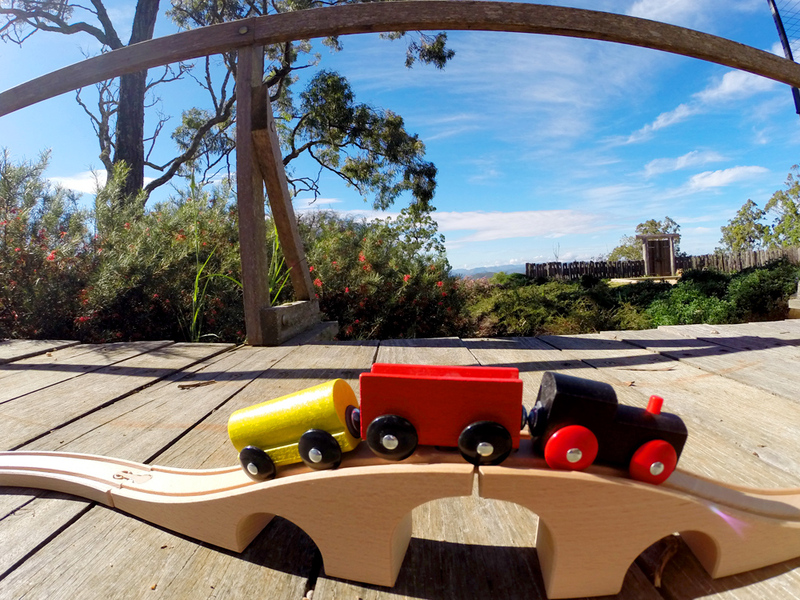 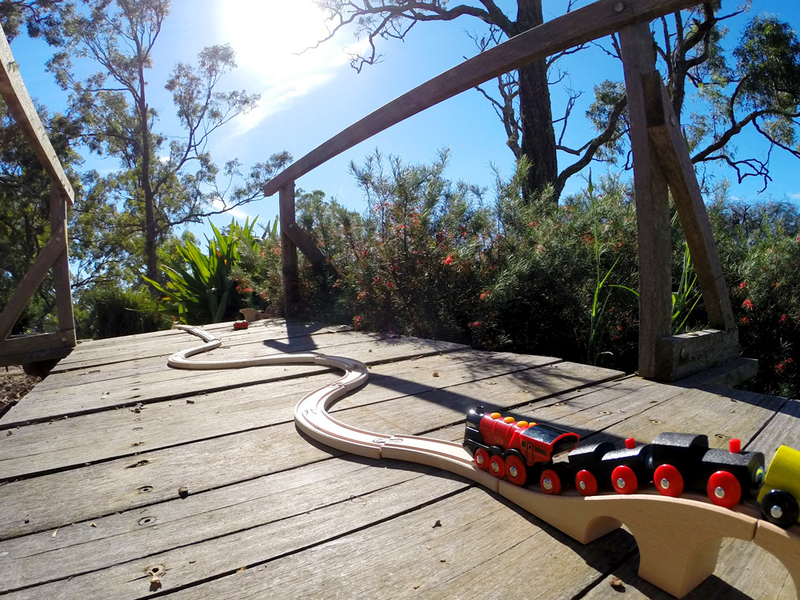 Staying with Granny and Grandpa – we are out in the Australian bush – so this weeks toy train track is over a bush bridge crossing in the garden. 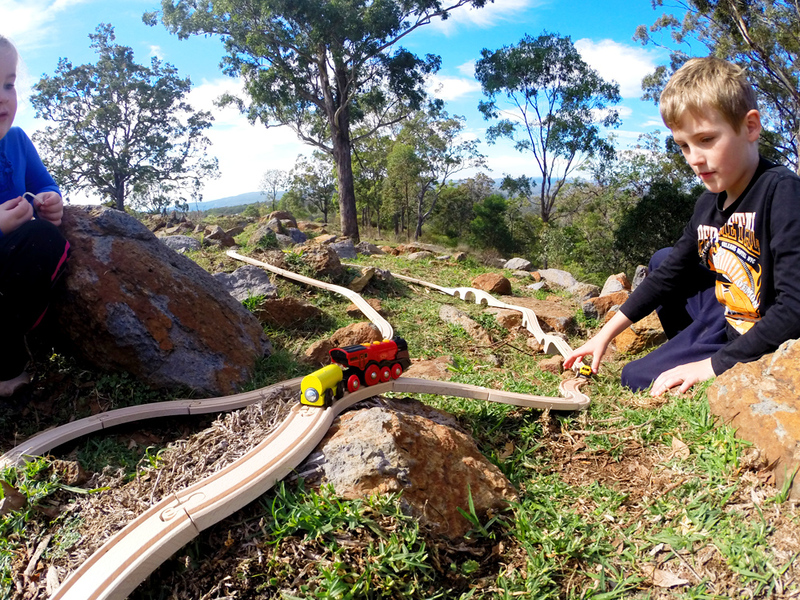 It’s a smaller track but lots of fun to be outdoors with our toy train sets. 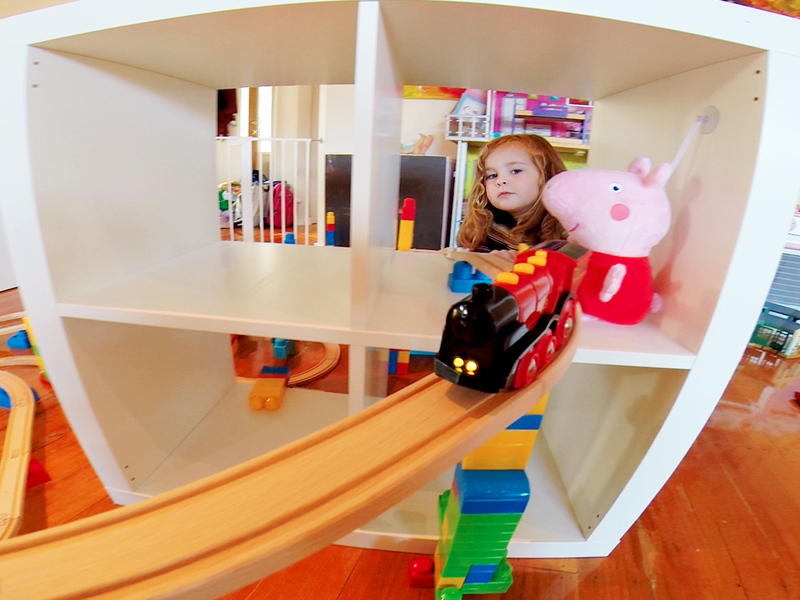 Our little Brio engine chugged over the bridge with a little help from Keira and Hayden. 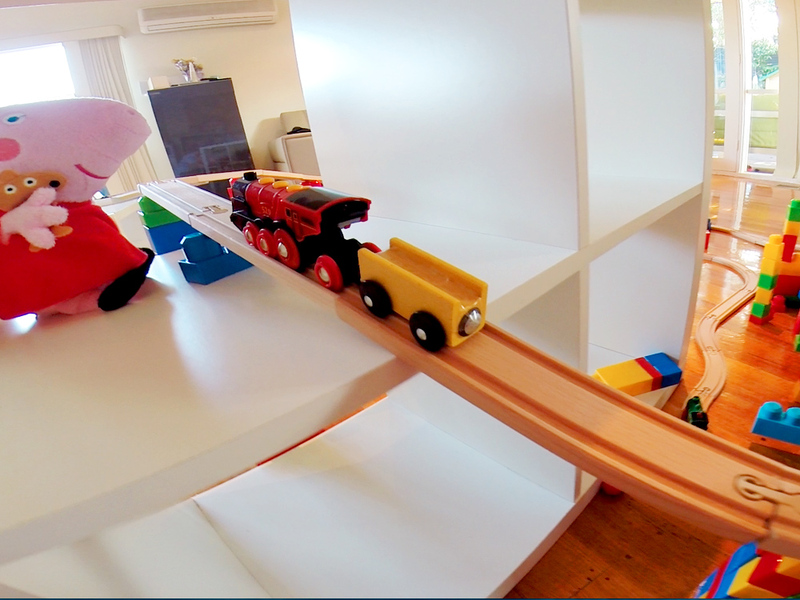 Our little ikea train sets have certainly seen a lot of different locations now! 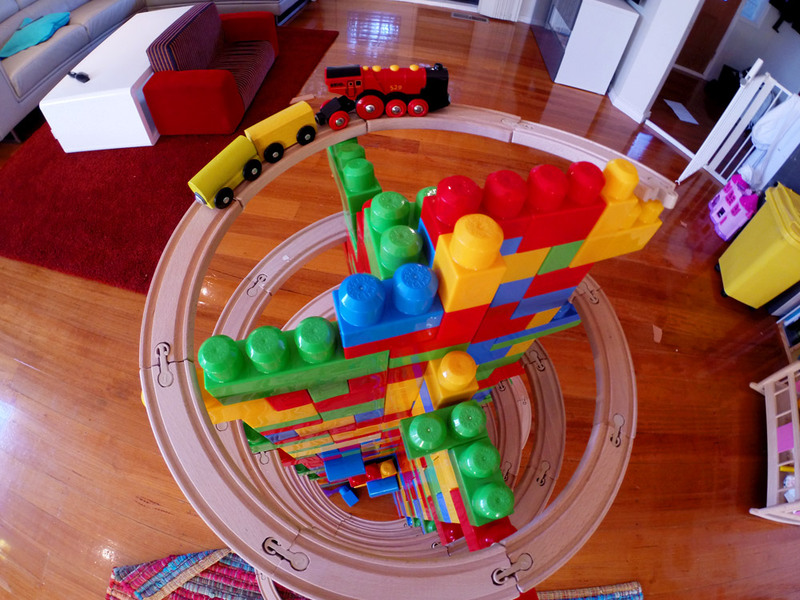 What if we made a track, which just went up? 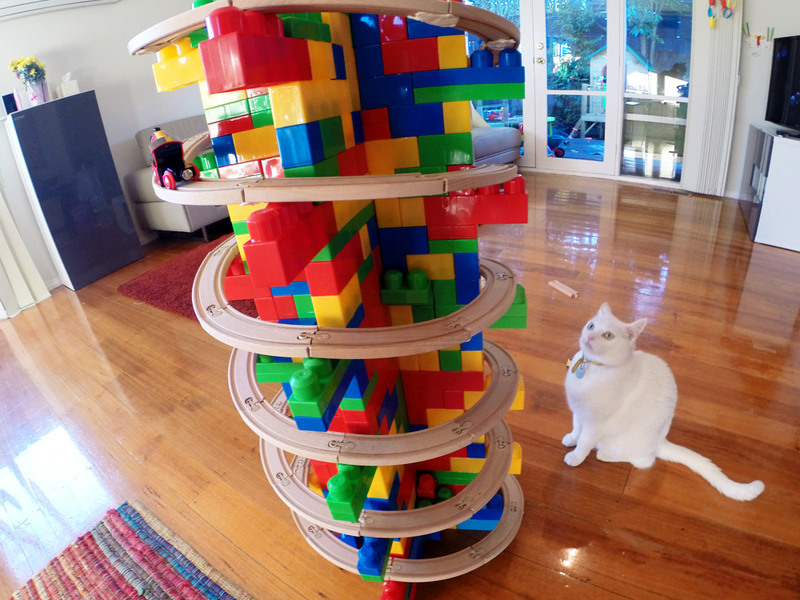 Round and round and round? 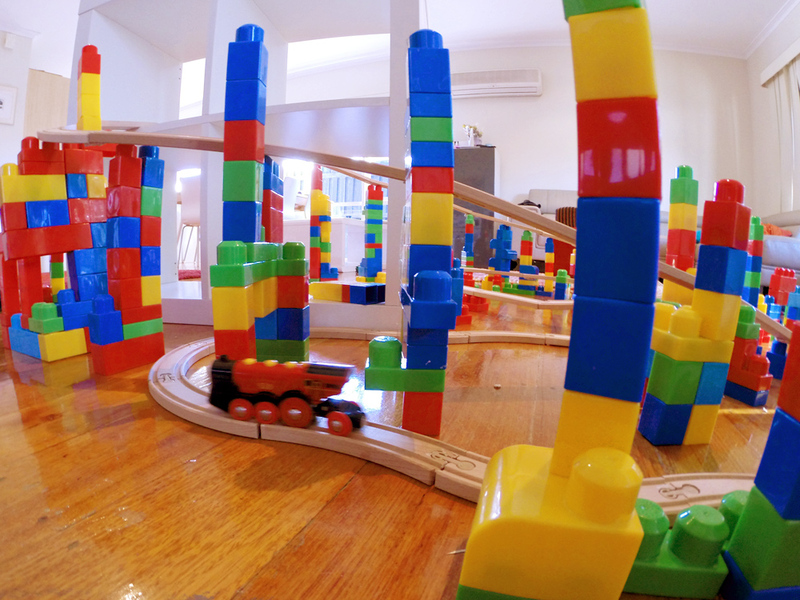 Well this week we decided we’d find out. 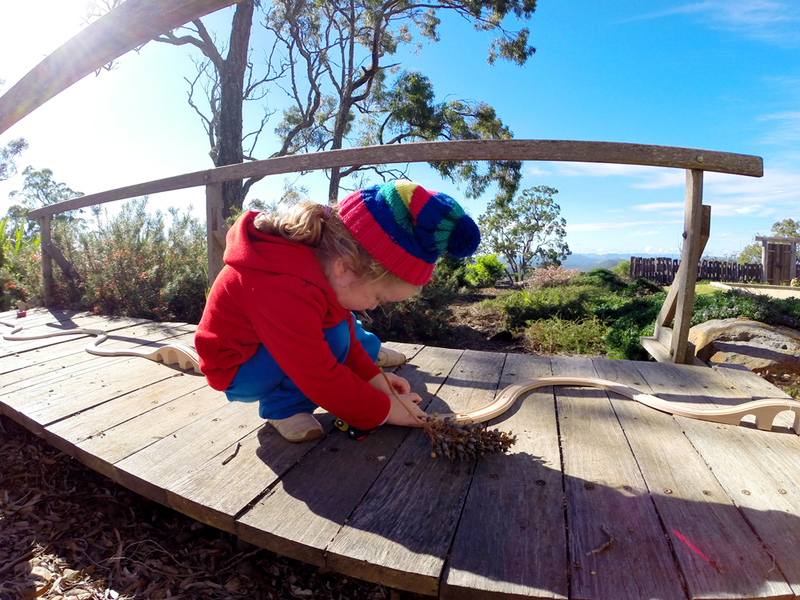 We call it the roundabout summit and its surprisingly sturdy. 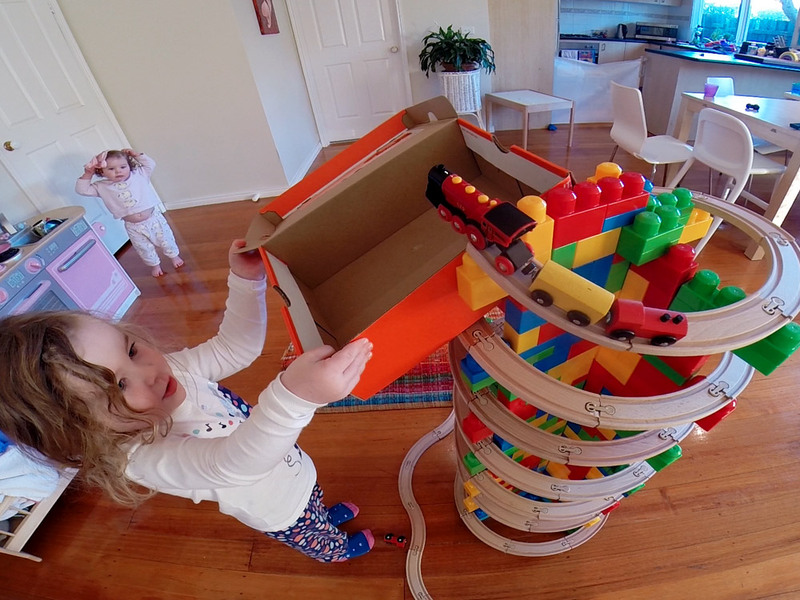 Our little brio engines also made it up alright — although going down was a slightly different story ☺ We weren’t quite sure how to finish it as the top but Keira was quite to find a solution! 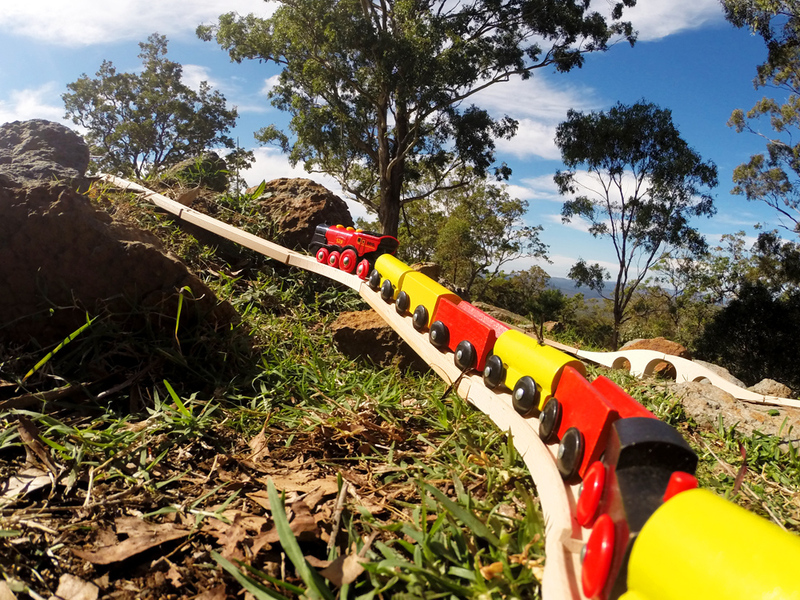 Check out the video as we reach the train summit. 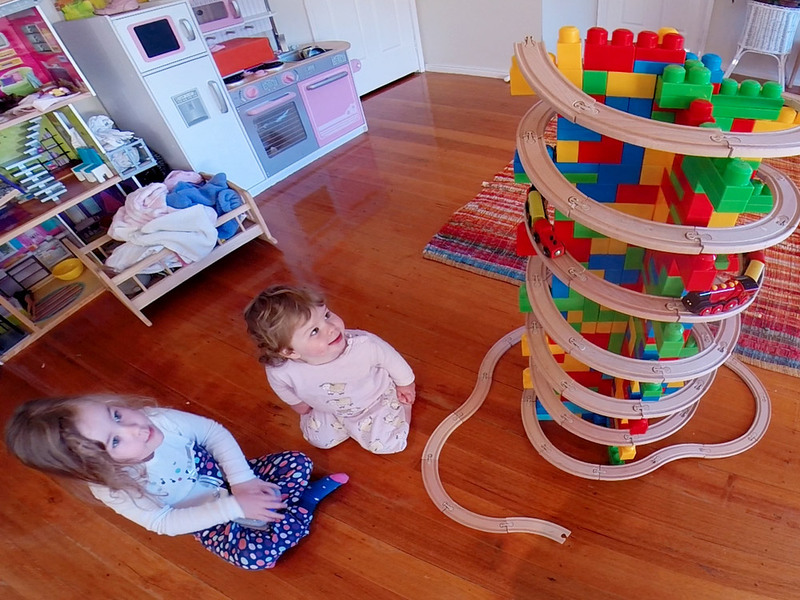 So I realised I was getting far to highbrow with our train tracks when Keira announced that the train running into the dolls potty was the most “awesome” train track we had ever done. 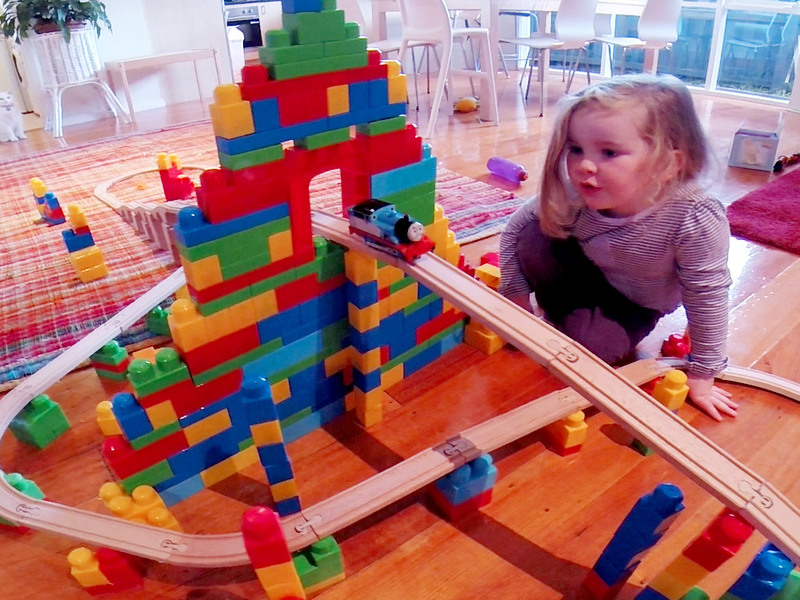 Lesson learned — potty humour is always funny! 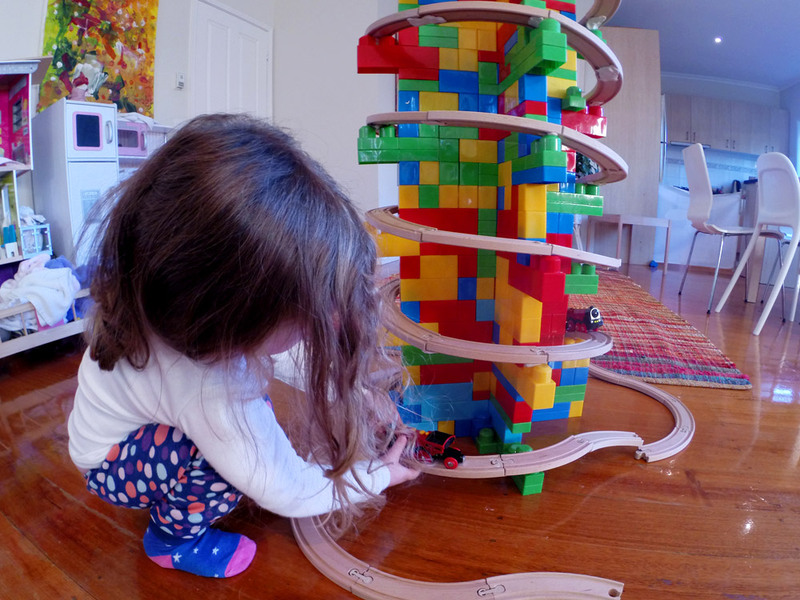 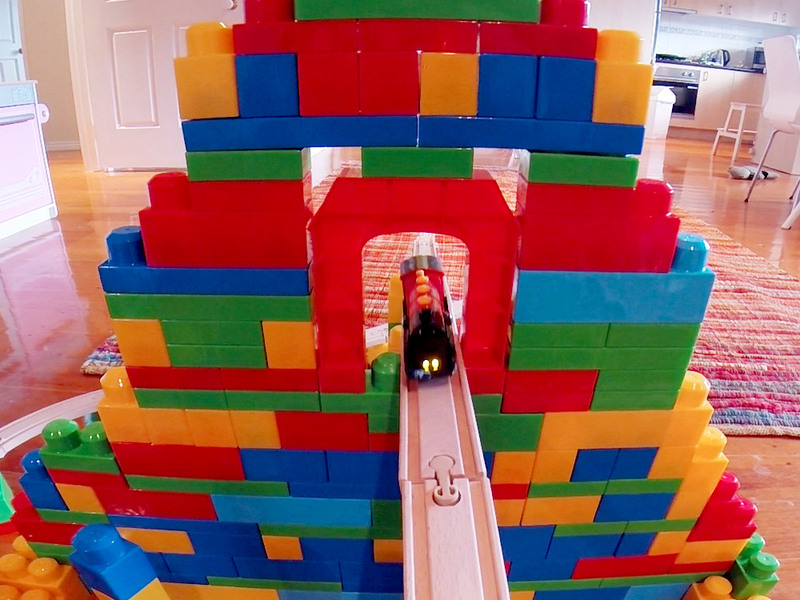 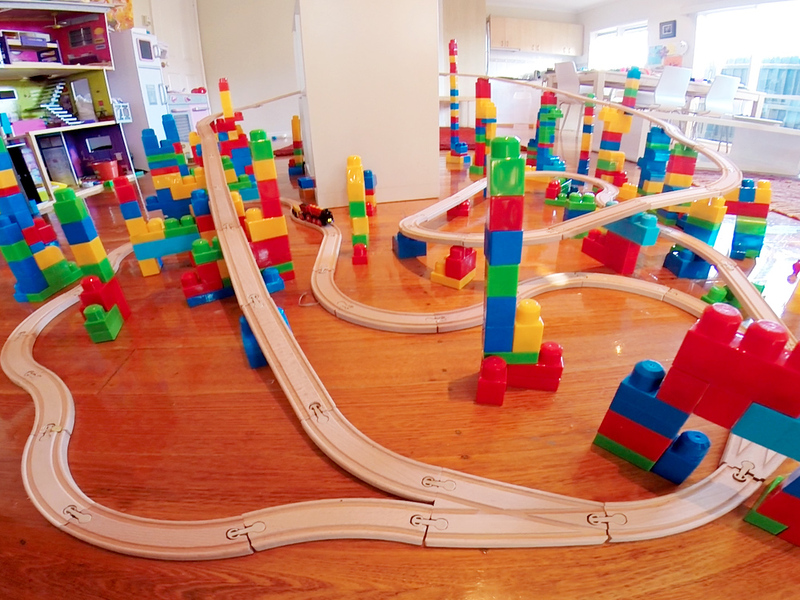 This was our first track using lots of Mega Bloks and we decided we have more exploring to do with these.